The Lady Vikings Soccer Program will host the 14th Annual Alumni Soccer Day on Saturday, January 2nd at 3:00pm. The men's alumni match kicks off at 1:00pm. LVS past, current, and future are always in attendance the first Saturday of each year. The Lady Vikings JV and Varsity teams will play in 2 scrimmages that morning against Southlake Carroll and Grapevine High School at 10am and 11am. These friendlies will last for one half and then the teams switch opponents and play a second half. Following the friendlies the Lady Vikings will return home to play the Alumni game. 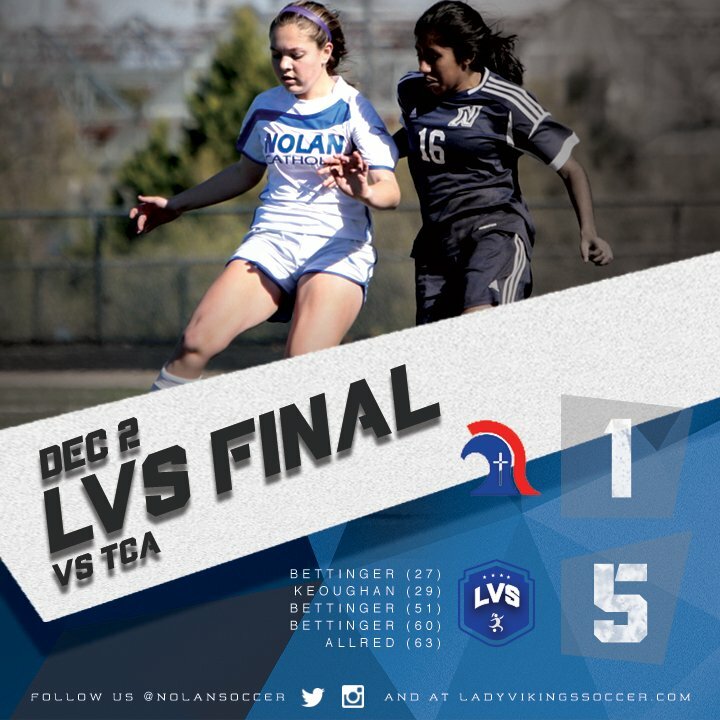 Head coach, Jay Fitzgerald said, "This is always the highlight of my year as we get to see the LVS Alumni that have given so much of themselves to our program and have helped grow it into the successfully recognized program that it is." 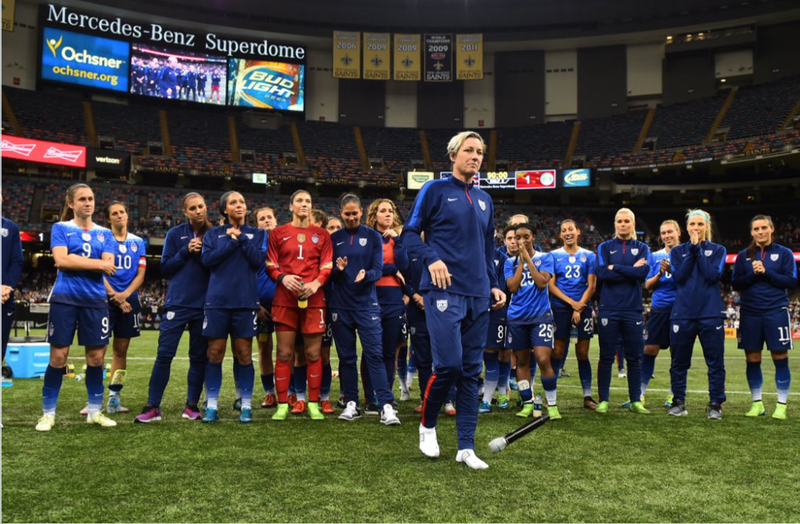 After the game, Abby Wambach stood with her teammates and watched a tribute video and addressed the crowd. "I love this team, this country, and it has been my pleasure and my honor to represent you all, the fans, for as long as I’ve been able to," she said. "The reality is, I think symbolically, the way that this game went, I’m walking away, but the future is so bright. These women are going to kill it, I know it. Before I get to emotional, I want to express how important it is to give all of yourself to whatever it is you do." With that, she dropped the mic. -- 73 assists (3rd all-time). Retiring U.S. national team star Abby Wambach talked to Bill Simmons about inequalities in sports. 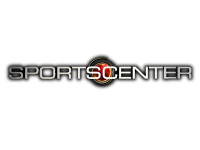 "Ever since I announced my retirement," Wambach said, "I have been able to have cool conversations and pick people's brains to figure out why there is such a disparity not just in my sport but in other sports and other industries. There is there innate thing that women are less than that women don't deserve to be treated fairly. "I think that our society is pushing toward a place where we really start to look to each other as people and not put each other in these boxes. This equality thing is in all. I feel the men get paid way more than the women in soccer, yeah, I understand logically the argument about the ratings and that is more global. But that doesn't mean that it makes it right. Equality isn't something that actually costs anything. I know we are talking about gender pay gap differences. But to treat someone fairly doesn't cost a single cent. It wouldn't cost anything it would be just a decision. When you are in it you don't want to fight too much against it because you want to be thankful for what you are getting." The Lady Vikings Soccer Program gets 2 wins on the evening starting with 2-1 JV win with a goal by Koryn Brookshire and the game-winner by Lauren Bettinger. The win tonight moves the Lady Vikings to 2-1-1 overall on the season. The JV will be in action next against Grapevine and Southlake Carroll on January 2nd at Dragon Stadium in Southlake for a couple friendly matches to get the year started. The varsity team rebounded from a loss earlier in the week by topping Hockaday by a score of 3-0. The first half ended in a scoreless battle between the 2 teams until the Lady Vikings came on strong in the second half. Mikaela Gamboa started off the scoring in the 46th minute of play. A well timed pass in behind from Hannah Allred put Gamboa in front of the 18, only to knock it around the goalkeeper giving her a simple tap in for the evenings first goal. That turned out to be the only goal the Lady Vikings would need. Head coach, Jay Fitzgerald said, "We got much sharper as the game went on and scoring early in the second half was key." Meghan Kittleson scored her first goal of the year of a cross from Gamboa less then 10 minutes later and that was a lead that the Lady Vikings would not surrender. Instead, Regan Hafer added the third and final goal of the match just 3 minutes after that. Kate Kleiser collected a mis-cleared ball for the assist. Sophomore, goalkeeper, Sarah Becan came up with some much needed saves in the first half of play and cleaned up the box in the second half to preserve the shutout moving the Lady Vikings to 6-2-0 on the season. "Hockaday is a solid team and I am happy about the result especially going into final exams next week... much easier to study when you are coming off a win," commented Fitzgerald. The 2016 National Elite Prep Showcase (formerly the Nolan Showcase) hosted by Nolan Catholic Women's Soccer and Southlake Carroll has released the schedule for next months national event. This years field of 34 teams pits the top teams from California, Florida, and of course, Texas. Ten of the Top 25 teams in the country will be playing January 7-9 in the first event of the 2016 high school season. Four of those teams are in the Top 10 including the #1 team in the country and NEPS co-host, Southlake Carroll. 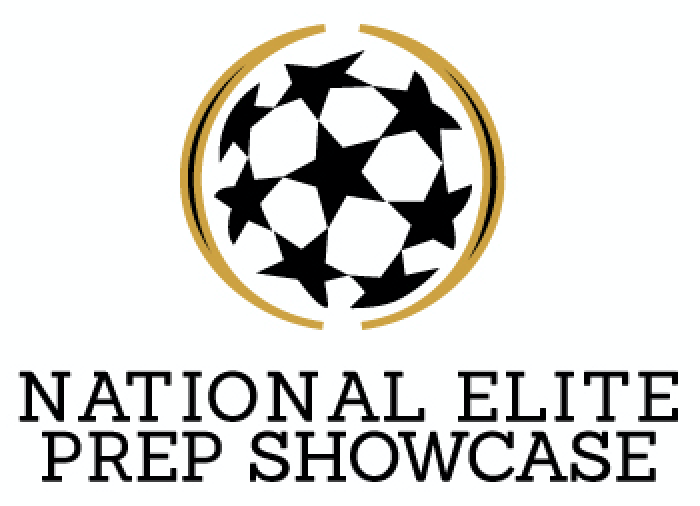 So in total, 15 of the nations top teams will be at NEPS in January and a slue of other top teams will show off their talent to college coaches and fans from all over. NEPS is a true college showcase event where college coaches love to watch their future commits play against older and younger players, in different styles, different roles, against their club teammates, and with future teammates. For more information visit the event website at www.nationaleliteprepshowcase.blogspot.com. The Lady Vikings return home tonight to host Ursuline, after a five match road swing. The JV kicked off the evening and didn't disappoint. The game was end to end the entire 1st half and it wasn't until the 2nd half when Emma Hernandez scored off an assist from Koryn Brookshire for put Nolan ahead. The game continued to go back and forth with both teams take chances and late in the game, the Lady Bears were able to equalize and the game ended 1-1 moving the Lady Vikings to 1-1-1 on the season. The varsity game followed in front of an exciting crowd and the game didn't necessarily go the way the Lady Vikings wanted. The end to end action continued just where the JV game left off with Nolan firing off some shots with a couple just getting deflected and the Ursuline goalkeeper, Leah Archer, coming up big on a couple keeping the Lady Vikings off the board. 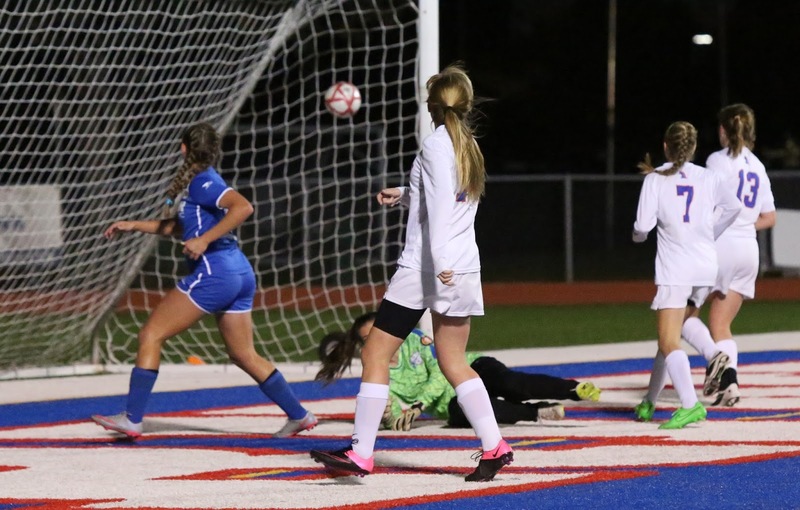 LVS head coach, Jay Fitzgerald said, "We started very strong and if our recognition was a bit better this game could have had a different beginning." Ursuline took control of the match scoring in the 11th minute and added 2 more unanswered goals to take a 3-0 halftime lead. The Lady Bears added a couple more goals in the second half before Katee Kimmey scored off a nice serve from Mikaela Gamboa but tonight Ursuline was able to get the result and move to 6-0 on the season. Fitzgerald continued, "We started strong and we finished strong but Ursuline was too dangerous tonight in the wide areas of the field and they took advantage. But I have to hand it to our group, they fought the uphill battle through the final whistle." 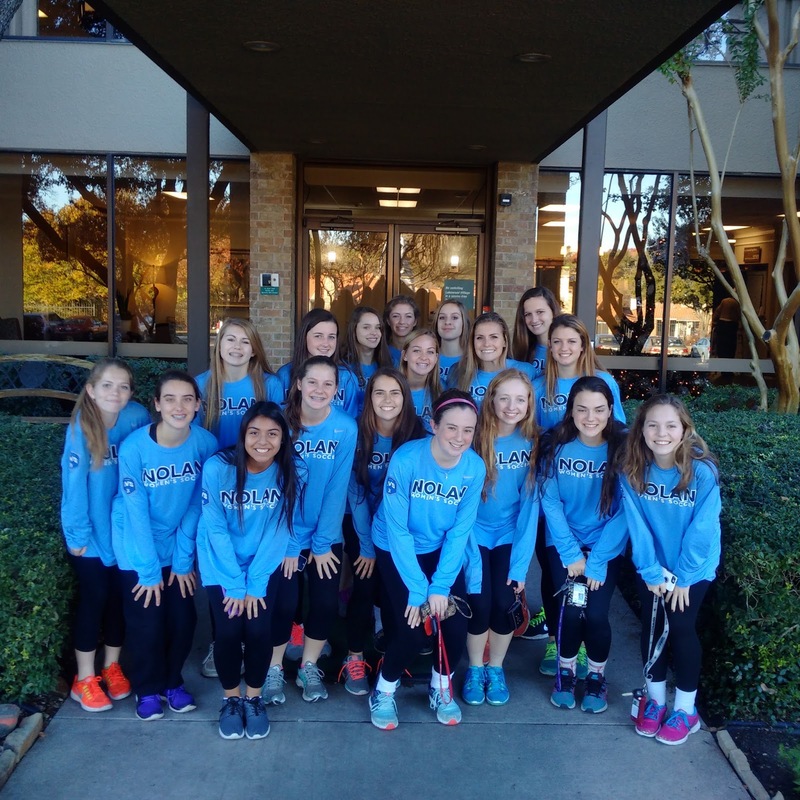 The Lady Vikings return to Doskocil Stadium to take on Hockaday on Thursday night at 5:00pm and 7:00pm. 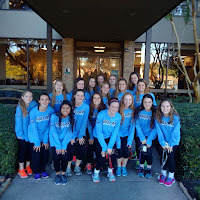 The Lady Vikings Soccer team had a busy week on the field and in the community.. they moved to 5-1-0 on the season as they split district games with a tough loss to Bishop Lynch on Monday 2-0 with varsity and 2-1 with JV but rebounded well on Wednesday with a 5-1 win over TCA on goals by Emily Keoughan, Hannah Allred, and a hat trick by Megan Bettinger. They then went out into the community to Lakewood Village Retirement Center on Friday to play BINGO with the residents. 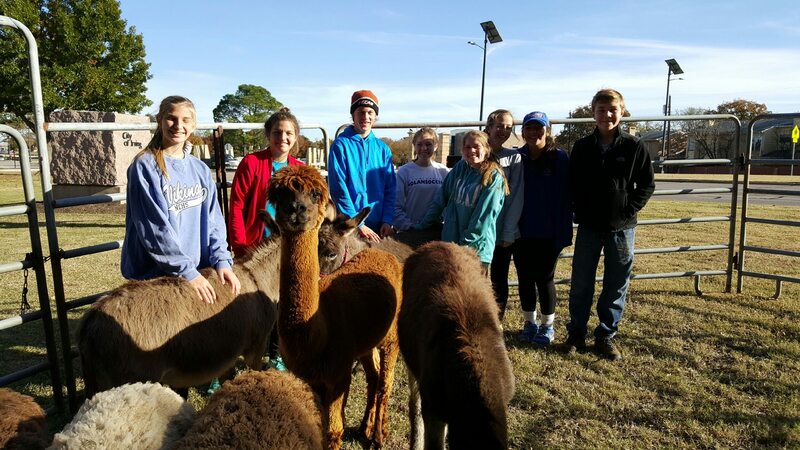 Then on Saturday some of the LVSers went to Pippen's Place Animal Sanctuary in Irving to help clean up the ponds and creeks. 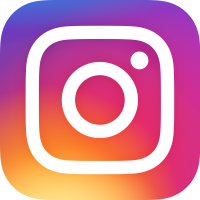 They return home this week after a five match road trip as they host Ursuline on Tuesday at 5:45pm and 7:45pm and Hockaday on Thursday at 5:00pm and 7:00pm. Six games into the season, Nolan Catholic has been on the road for the last 5 matches returning home next week. LVS improves to 5-1 on the season with a 5-1 win over TCA tonight with Megan Bettinger scoring her second hat trick in just 6 games. The Lady Vikings took a 2-0 lead before the Lady Trojans got one back before half. Bettinger started the first half scoring and just 2 minutes after, Emily Keoughan scored what would turn out to be the game winner. In the second half of play, the Lady Vikings spoiled the evening for TCA scoring 3 unanswered goals; 2 more came Bettinger's way and the final goal was credited to Hannah Allred. "We scored some quality goals tonight and created several others, " said LVS head coach, Jay Fitzgerald. The TCA goalkeeper pushed away 19 of the Lady Vikings 24 shots on goal. FItzgerald continued, "We were patient, attacked in waves, and kept the ball nicely." Brennan Flynn, Bettinger, Keoughan, and Allred were all credited with assists on the night. Since play has yet to start in California and most of Texas, there was almost no change between the preseason rankings and this week's SIMA FAB 50s. On the boys side, Montverde Academy (Montverde, Fla.) is off to a 10-0 start and halfway home to a fourth straight SIMA FAB 50 No. 1 finish. Meanwhile, Southlake Carroll (Southlake, Texas) is No. 1 in the girls rankings and will hold that spot at least until early January when the team starts regular season play. BIG MOVERS -- BOYS: San Clemente (San Clemente, Calif.). The Triton were the only team to move up more than one spot last week, going from No. 48 to No. 46. 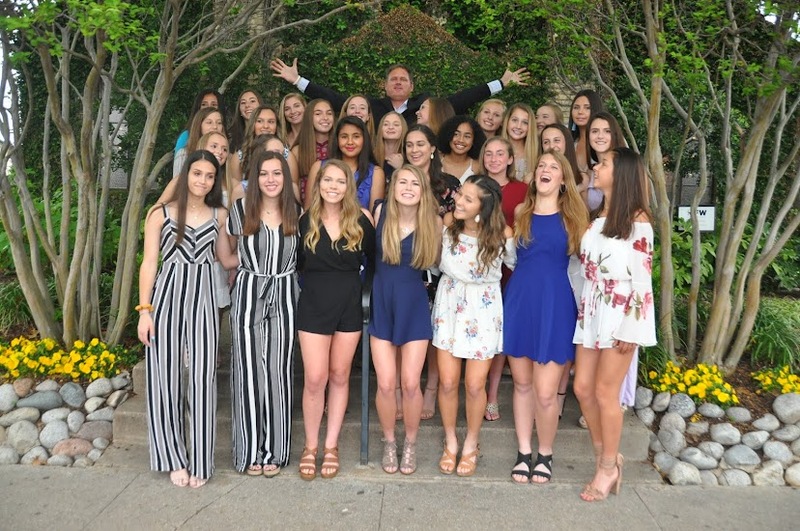 GIRLS: Ursuline Academy (Dallas, Texas). Ursuline and TAPPS rival Nolan Catholic (Fort Worth, Texas) each moved up three spots in this week's Top 25. They enter the week a combined 9-0. NEWCOMERS: BOYS: No. 27 Ponte Vedra (Ponte Vedra, Fla.), No. 33 Fleming Island (Fleming Island, Fla.), No. 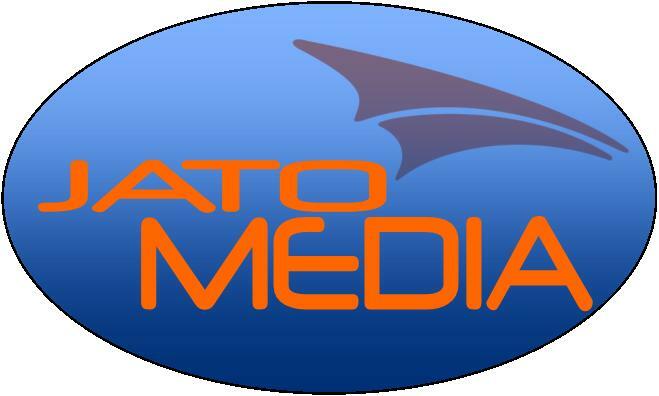 45 Palm Beach Lakes (West Palm Beach, Fla.), No. 47 Sunlake (Land O'Lakes, Fla.) and No. 50 Rivera(Brownsville, Texas). GIRLS: No. 23 Oviedo (Oviedo, Fla.) and No. 50 Cinco Ranch (Katy, Texas). LOOKING AHEAD: -- BOYS: Although on the surface, section power Buchanan (Clovis, Calif.) would be an easy favorite over Roosevelt (Fresno Calif.), which is coming off an eight-loss season. However, it was Roosevelt that handed Buchanan its lone draw in a 21-3-1 seson last year. GIRLS: No. 48 St. Francis-Mountain View (Mountain View, Calif.) takes on No. 16 Monte Vista (Danville, Calif.) and No. 17 Sacred Heart Prep (Atherton, Calif.) this week. The outcomes of these two matches will be important in sizing up the top NorCal programs this season. The Lady Vikings were put to the test on the road against Bishop Lynch tonight as they drop their first match of the year and fall to 4-1-0. The Lady Friars scored goals in each half and the Lady Vikings were not able to answer despite playing a fairly decent match. "Lynch is a good team with some dynamic players and those players beat us tonight," said LVS head coach, Jay Fitzgerald. There was a good pace to the game like you see with most of the games in TAPPS 1-5A but in the end the Lady Friars prevailed to improve to 2-1-0 with goals by Aly Sympkins and Anisa Lopez. 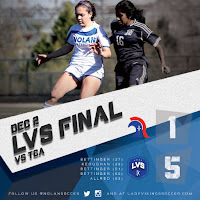 Next up for the Lady Vikings is TCA as they continue their 4-match road trip on Wednesday. Kick-off is set for 6:00pm. The JV took a 1-0 lead tonight on another goal by Anna Keller but were unable to hold on to that lead and dropped their first district match of the year.